So this milk definitely had some appeal to me. Compared to regular skim, it definitely is a tad more creamier. 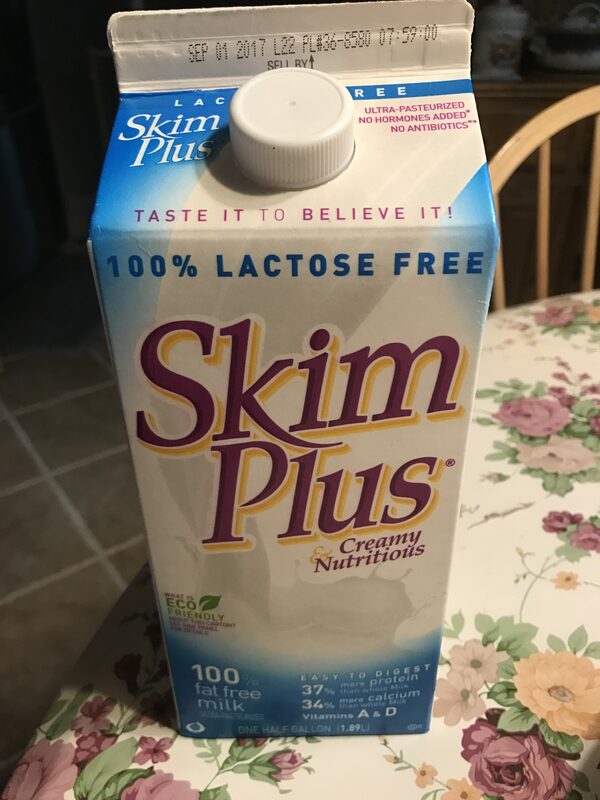 However, if anyone has ever tried skim milk vs lactose free skim milk, you WILL notice a change in flavor– think about it– Lactase is added to break down the milk sugar, lactose, so naturally the flavor will be different. I feel like this one had a stronger flavor change than other lactose free milks I have tried. It worked pretty well in coffee. Naturally, if you’re used to having whole milk in your coffee and then you switch to skim, you’ll need some extra to compensate. 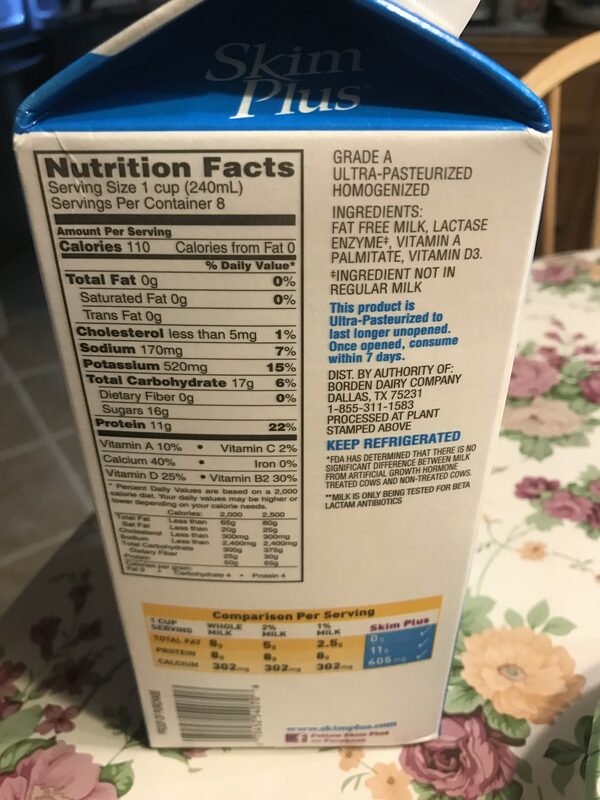 However I didn’t mind adding extra, since I knew it wouldn’t upset my stomach (it didn’t), it had extra protein, and was fat free (nutritional facts below). Now would I buy it in the future? The company provided me a coupon so I got this carton for free, but it was $5.00 for a carton at the store it was purchased from. That’s a bit steep for a half gallon of milk. I mean I get it– lactose free, antibiotic and hormone free, eco friendly container– but 5 bucks?? For someone who already prefers a higher fat content of milk, not sure if I would buy in the future. I don’t consume enough glasses of milk where I feel I need to chop the extra cals and fat grams and get skim for my coffee, but for someone who consumes a lot of milk, or eats a lot of cereal, etc., I think it’s a good switch. I would personally like to see this brand make like a 1% or so, may appeal to more customers who prefer that fat flavor other milk has to offer. I received this for free from the company. This is an unbiased review.